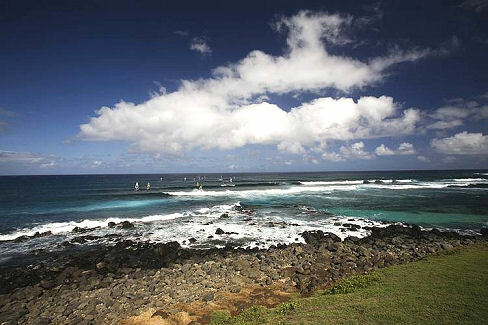 Maui's world-famous "Jaws", or Peahi, break could be shut after storm damage and a lack of maintenance has taken its toll on the closest boat ramp to the action. NeilPryde have announced the newest member of the TeamPryde International Windsurfing Team. 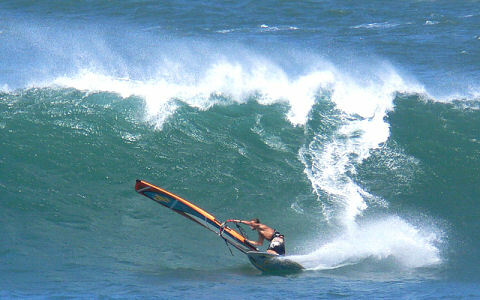 Philip Köster, the 13-yr old wave sailor, of German descent, lives just 100m from the beach in Gran Canaria. The Calema Midwinters 2008 is scheduled for Thursday, Feb. 28th - Sunday, March 2nd. Racing will be held in the Banana River just off Kelly Park in Merritt Island, FL - USA AGAIN for 2008 - Racing for the Pro's/A Fleet will be three days!! Sport Fleet, Workshop and Kid's Fleets will be on Sat./Sun only as in past years. With seven miles of golden sands and sparkling sea, the vibrant cosmopolitan town of Bournemouth has it all – a vast variety of shops and restaurants, buzzing nightlife and endless countryside with beautiful award-winning gardens and water sports galore.